Since the age of Confucius, anglers have been attaching feathers to hooks to fool fish. Why? Because it’s fun! This is your invitation to share in Vermont’s great fly fishing tradition, and experience the thrill of learning to catch fish on the fly. 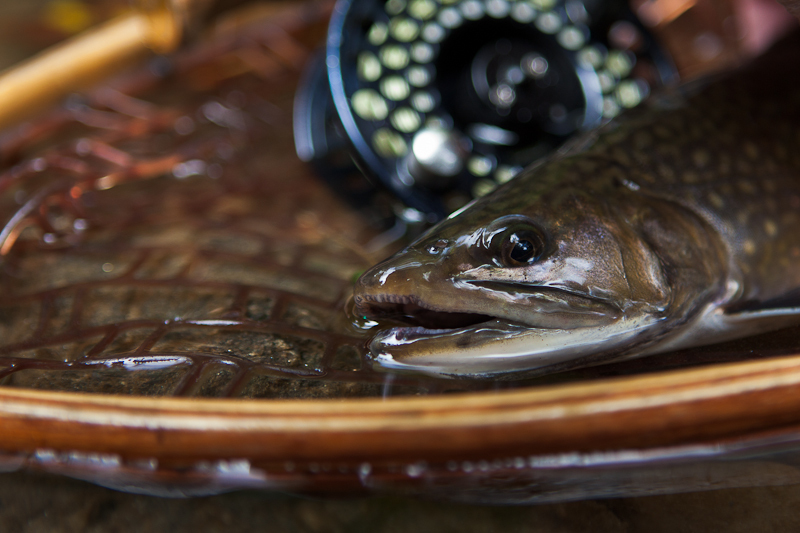 9th Annual Vermont TU Trout Camp will take place June 23-27, 2019 (Sunday – Thursday). Campers (age 13-16) will be introduced to the basics of fly fishing through a series of fun and engaging outdoor activites. 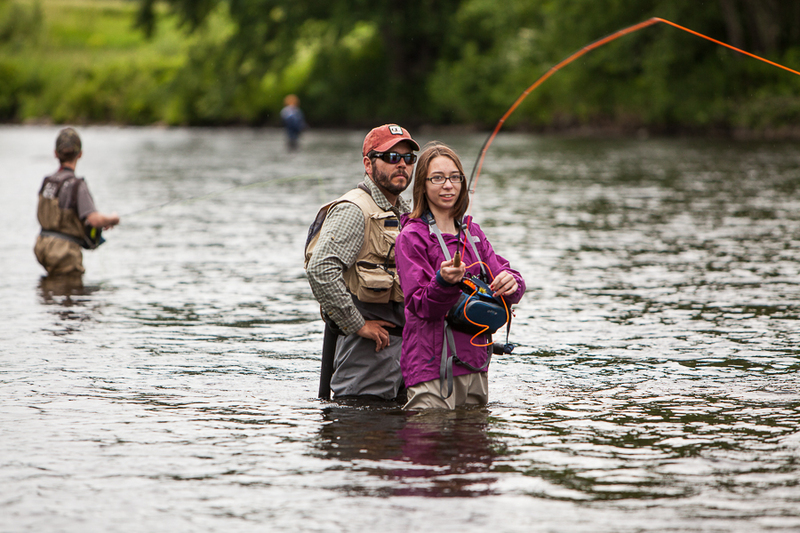 Participants will learn from some of Vermont’s most accomplished fly anglers and conservationists. Fly fishing skills covered will include casting, knot craft, fly selection and tying, reading the water, presentation and safe wading. Campers will learn about fish biology, fish habitat and stream ecology as well as aquatic entomology. We’ll explore some of the issues around fishing etiquette and ethics, as well as the conservation issues facing our cold water fisheries. In addition, campers will have the opportunity to participate in a local TU conservation project. Campers will have ample opportunity to test their newly acquired skills while fishing the upper Connecticut River and nearby ponds, hopefully catching lots of fish! 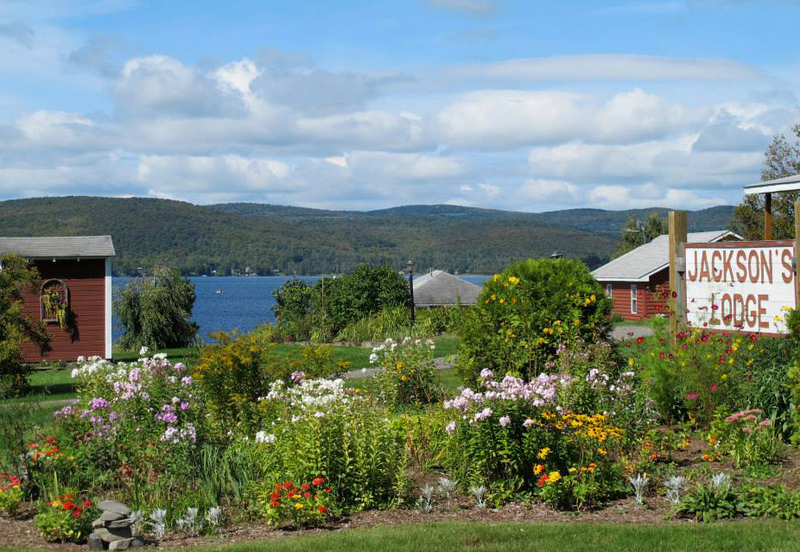 Jackson’s Lodge is a family owned three season lodge, originally dating back to 1926. It is nestled in the heart of the Northeast Kingdom on the eastern shore of Lake Wallace. Campers and Counselors will stay in Jackson’s well kept 3 season cabins. Camp registration includes all meals, beginning with dinner on Sunday and ending with a BBQ lunch on Thursday (some lunches may be in the field). The main lodge at Jackson’s provides a lovely spot to enjoy the great food they serve but is also the main hub for fly tying and ping pong at camp. Jackson’s also provides us access to a stocked pond on the property so campers can practice their newly aquired fly fishing skills while getting the chance to catch some huge trout. It’s one of the main highlights at camp! A: Each camp session is limited to 12 boys & girls age 13-16. Q: How much does Trout Camp cost? A: The price for Trout Camp is $450 per person and includes your 4 night stay at Jackson’s Lodge, meals, transportation to off site fishing locations and all of your instruction. Q: Does it matter if I’ve never fly fished before? A: Not at all. There is no previous experience required, just a willingness to participate and enthusiasm for learning. Q: What if I don’t have my own fly fishing equipment? A: No problem we’ll have equipment here for you to use during camp. Q: Will the classes and activities take place inside or outside? A: Both, but the majority of our time will be spent outdoors actively engaged in learning to fish and working to further the cold water conservation goals of Trout Unlimited. Q: How many staff/adult volunteers are at camp and what are they like? A: The entire camp staff is made up of adult volunteers, many of whom have been at camp every summer since we began. Usually there are at least 14 adult volunteers at camp. We have better than a 1:1 camper to staff ratio and when campers are on the river fishing they each have a dedicated guide to assist and teach. All of the staff are experienced, if not expert anglers, and many are or have been professional guides or teachers. All staff members go through an extensive background check (done by Trout Unlimited) before attending camp.